Last Valentine’s Day, Home Depot and Lowes locations across the country were swarmed by beekeepers, gardeners, and other bee-lovers. The bee activists delivered valentines bearing thousands of signatures asking these stores to stop selling pesticides containing neonicotinoids and plants treated with neonicotinoids. So what are they and what makes them so terrible? Since their introduction in the 1990s, neonicotinoids have become the most popular insecticides, available in dozens of formulations. They are systemic, which means that plants treated with them absorb the chemical into every part of the plant from root to leaf to flower. 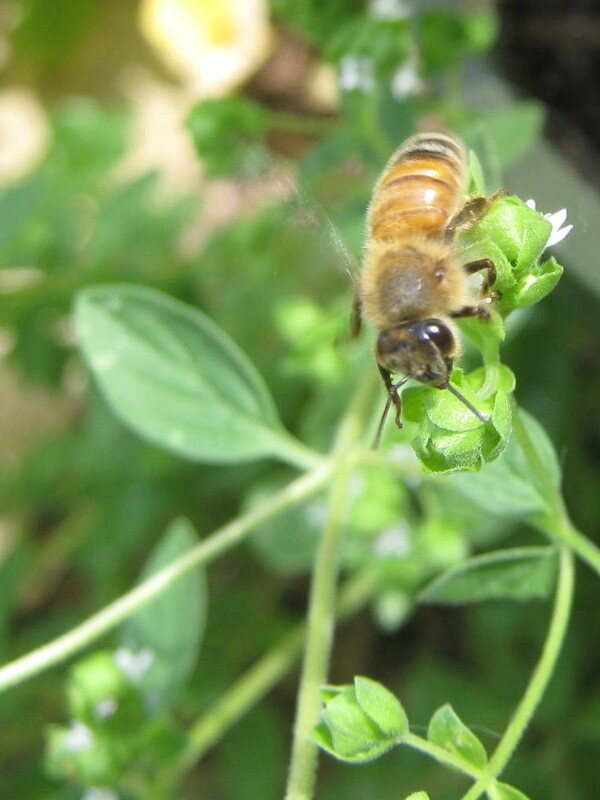 A seed treated with a neonic will express the poison in every tissue, including its nectar and pollen. While neonics are less toxic to animals, to insects they are neurotoxins. Even if they don’t immediately die, bees exposed to them may twitch, become disoriented, forget where they found food, or lose the ability to smell sweetness. The most insidious aspect of neonics is their persistence. The two most common ones, imidacloprid and clothianidin, can remain deadly in plants and soil for years after just one application. The others, thiamethoxam, acetamiprid, and dinotefuran, linger for months. This is how supposedly “bee-friendly” plants for sale at nurseries have turned out to be bee-enemies. Even if you don’t use pesticides at all, there is no requirement to label plants or seeds that have been treated with neonicotinoids. Nor is there a short list of pesticide brands containing them. The Xerces Society for Invertebrate Conservation lists some of the most common ones, and many more are in this report issued by Friends of the Earth. So when you shop for seeds from your favorite catalogs, or look for plants at your local garden center, ask if the plants or seeds have been treated with neonicotinoids. I have begun asking, and where I have found sources of untreated seeds and plants, I have added them to the Bee-Safe pages. I hope this helps you plant lots of flowers for the bees. I am a writer and gardener. I never cease to be amazed by the wonder and beauty of bees. This entry was posted in Bees and tagged insecticides, neonicotinoids, pesticides, untreated seeds. Bookmark the permalink. I am a Waltham bee keeper. I would like to join your group. Hi Maria! If you’d like to join Friends of Bees, our next meeting is at the Watertown Free Public Library, this Saturday Feb. 22 from 3-5.